Karolina Michalska-Bałaga is a graduate of the Faculty of Medicine and Dentistry, Collegium Medicum, Jagiellonian University in Cracow. She has also completed a post-graduate programme in “Management of medical services” at the University of Economics in Cracow. Karolina Michalska-Bałaga is keenly interested in periodontology, which is why she decided to pursue this specialty of dentistry. In 2008-2012 she completed a specialization course in periodontology. Michał Bałaga is a graduate of the Faculty of Medicine and Dentistry, Collegium Medicum, Jagiellonian University in Cracow. Before starting university, he had graduated from the prestigious 2nd Comprehensive Secondary School in Cracow. During his internship at the MSWiA (Ministry of Internal Affairs and Administration) Hospital, he took an interest in oral surgery. To broaden his knowledge and skills, in 2008 Michał Bałaga embarked on a specialization programme in this field. He performs dental implantology procedures. A gentle and considerate person, he is recognized as an outstanding professional and liked by younger and older patients alike. He is a person with a positive attitude and top qualifications. 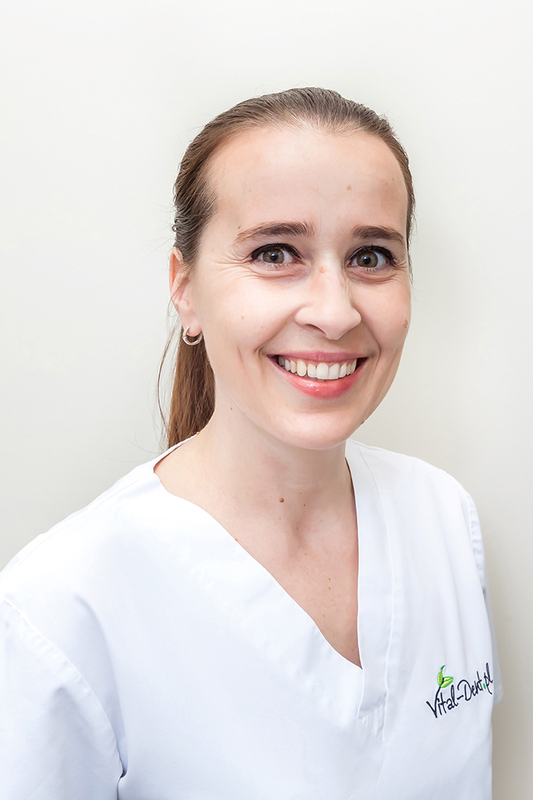 Joannana Jaśkiewicz Specialist in orthodontics, completed medical and dental studies at Collegium Medicum of the Jagiellonian Univeristy in Krawow. 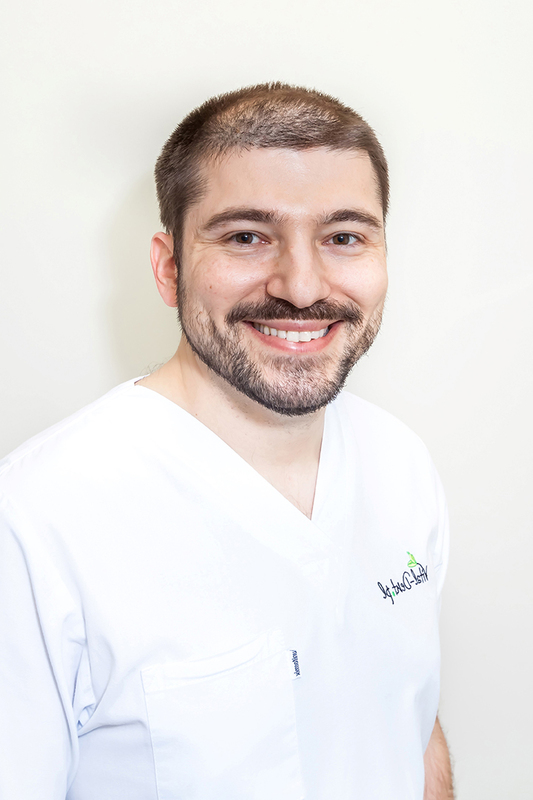 Employee of the consultative orthodontics clinic at the Voivodeship Dental Clinic in Krakow. Participant of numerous courses in the scope of orthodontics. 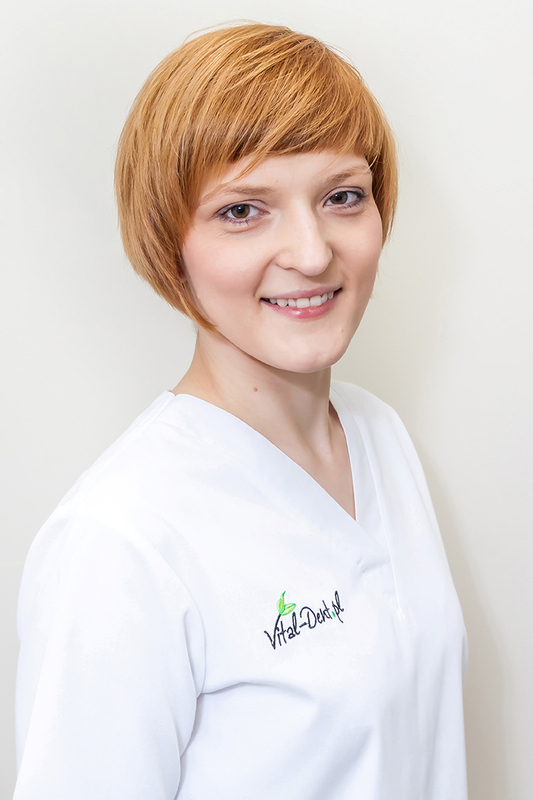 In Vital-Dent.pl she looks after orthodontic treatment among children and adults. She is a member of the Polish Orthodontic Society. Patience, optimism and full engagement in any treatment are just some of the features associated with doctor Joanna.